This article needs to be updated with material from Era Digest: Dark Age, Field Manual: 3145, Era Report: 3145, Turning Points: Irian. Once this title clears the Moratorium period, or if it already has, please consider revisiting this article and updating it with the new material, removing this tag once all information has been added. The SwordSworn were a pro-Davion military splinter group that operated in the Republic of the Sphere from 3132 to 3136. In late 3134, the Duke Sandoval seeing opportunity to bring on more worlds to his efforts deliver number worlds to House Davion, deployed a large number of SwordSworn troops to Prefecture V to contest the Capellan Confederation's Incursion into the Republic. By August, elements of the Davion Guards and Ghost Legion were deployed on New Aragon, fighting brutal battle against Capellan troops for control of the planet. On world's militia force became in disarray, when their Legate was lost in the fight. Duke, along with his cousin Commander Erik Sandoval-Groell coordinate and led their troops to route Liao troops off planet. It wasn't until late October when the last of Liao forces left on planet were hunted down. 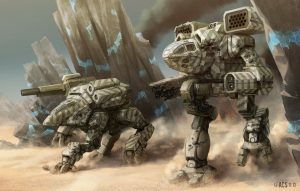 In a notable fight, Commander Sandoval-Groell was with Ghost Legion's BattleMech elements on planet when they went on a 'Mech hunting expedition in the arctic reaches of the planet. With five BattleMechs, they were able to overwhelm a lone downgraded Clan Tundra Wolf that tried to elude them when it enter the ice region. After securing the planet, word of Faction leader was lost New Canton begun to circulate. However, it proved to be false. Bulk of the SwordSworn forces on New Aragon headed out to the next Incursion hot spot, Halloran V. Duke briefly met up with his forces at the SwordSworn fleet staging area in Pleione system. There he named Davion Guards' commander, Justin Sortek as Campaign Commander for next assault against the Liaos. While himself and Commander Sandoval-Groell were assigned to diplomatic duties to strengthen coalition against Liaos and join SwordSworn. On Halloran V, the SwordSworn forces were able to repel the Liaos, and were then sent to St. Andre. On St. Andre, Sortek positioned the SwordSworn to confront House Liao's push into the Prefecture. By December the Duke dispatched Commander Sandoval-Groell to take command of troops on planet. However, Sortek's forces and Liao forces arrive in system by the 12th, where he landed his troops at an ancient SLDF Fortress, Fort Ravensgale. The base isolated in planet's arctic regions, kept his people from bulk of the enemy force. His Liao opponent landed in the heart of planet's populated continent of Georama. Liao forces were quickly pushed the defending SwordSworn troops out of position and took the planetary capital of Jerome within days of fighting. This was due to Sortek's reluctance to commit his forces fearing it was a trap. Isolated in Arctic region, Sortek's forces were low on fuel and ammunition. In bound on a DropShip, Commander Sandoval-Groell attempted to advise Sortek in what he could do, but was limited on intelligence due to his distance from the world. After landing on planet, the Commander was able to organize better defense as Liao forces begun to marshal its forces on shores closest to the Ravensgale continent's heavily cliff laden shores. Liao forces began a three-pronged assault against the SwordSworn on Christmas Eve, where troop bearing DropShips, wait in orbit, ground troops commit to an amphibious assault against Fort Ravensgale through the tiny seaport settlement of Port Archangel. Liao Aerospace forces, unwilling risk being shot down by the Fort's powerful array of aerospace defense towers, use their amphibious assault penetrate the base's defenses to knock out the towers. SwordSworn's coast defense batteries first fight waves of BattleMechs which emerge from sea, after being dropped off by special commercial ocean vessel. Following the 'Mechs on the shore being damaged by SwordSworn artillery and missile batteries, are combination of VTOL and hovercraft base vehicles help penetrate their coastal defenses. After overwhelming SwordSworn port defenses, the Liaos land heavy ground combat units via ferry try get through the one of the bases narrow vehicle tunnels. Despite falling back, the SwordSworn give good show by mauling incoming Liao forces, however they manage penetrate the base interior perimeter. The defense towers fall one by one in onslaught of Liao ground forces. 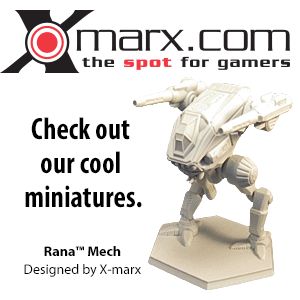 When all lost, the DropShips from orbit descend on the scene and hot drop their cargo of 'Mechs. However, SwordSworn are saved, as the Duke and his forces were able to overwhelm the Liao's DropShips and slip in their place rescuing beleaguered forces on the ground. After overwhelming the Liao invaders, the Duke's additional forces dropped off supplies. Liao forces at fort and in Georama retreat from the planet. Its learned Liao forces had stripped considerable amount of its defenses to amount invasion St. Andre. Using salvage from invasion, SwordSworn begin to assemble a second army while Duke continued with his efforts to build a coalition. Under the leadership of former Lord Governor of Prefecture IV Duke Aaron Sandoval the Swordsworn were one of the factions to break away from the Republic of the Sphere in the early 3130's following the widespread collapse of the HPG network. They were later absorbed into House Davion. After the events of Fortress of Lies, the SwordSworn is also co-led by Duke Sandoval's nephew, Commander Erik Sandoval-Groell. The Swordsworn were organized into three Combined Arms Regiments. These regiments loosely contained enough units to be considered fully functional regiments. When first organized, these units were centered around roughly a company of BattleMechs and civilian/militarized IndustrialMechs, with large numbers of vehicle and infantry forces filling out each of the regiments' ranks. Due to lack of published information, various information regarding specific actions of Prince's Men or what makeup and number of regiments themselves remains unknown as of this writing. ↑ Fortress of Lies pp. 1-29 - Duke and Erik Sandoval fight with Davion Guards and other units fight off Liao invasion of New Aragon. ↑ Fortress of Lies pp. 37-43 - Commander Sandoval-Groell and the Ghost Legion hunt down a Tundra Wolf in arctic area of New Aragon. Noting this was among the final victories for total control of the planet. ↑ Fortress of Lies pp. 97-99 - Duke tells Erik that he is naming Sortek to head up campaign against Liaos on Halloran V.
↑ Fortress of Lies, pp. 228-229, 241-242 - SwordSworn activities prior to St. Andre fight for the planet.